Satin Bridal Fabric is one of our most popular bridal materials due to it's luxurious appearance of a glossy surface and dull back. 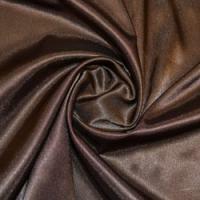 Satin derives it's name from the Chinese city of Quanzhou (formerly known as Zayton) from where this fabric was first imported. 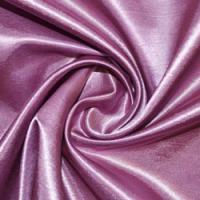 Satin Bridal Fabric is a popular alternative to silk as it is more cost effective and readily available and due to it's glossy, lustrous appearance is popular with brides to be not just for their own gowns but for bridesmaid dresses also. We stock a wide variety of Satin Bridal Fabrics including satin back dupion which is characterised by it's slight irregular surface and the versatile Satin Back Crepe Fabric which can be used on it's elegant glossy side or the reverse of the fabric which has a more matte finish. 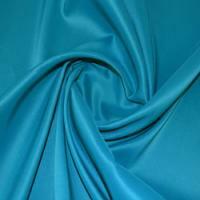 Duchess Satin Bridal Fabric is arguably the most popular of our bridal fabrics and is ideal for any design of bridal gown. Duchess Satin Fabric, like many of our Satin Bridal Fabrics, can be used alone or as an overlay alongside many other bridal fabrics. Many of our Satin Bridal Fabrics are suitable for embroidery or embellishment and are available in a variety of gorgeous shades including pastel yellows and blues and more vibrant shades of pinks and oranges which are perfect for a pop of colour either for your own gown or for your bridesmaid dresses.